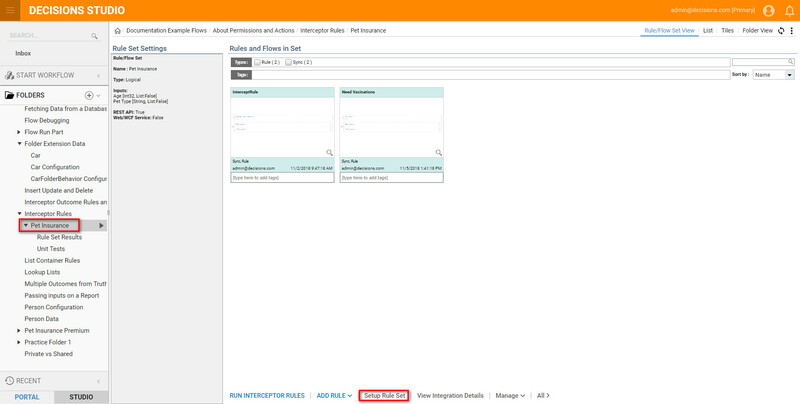 This tutorial demonstrates how to Trigger Outcomes	to handleIntercepted Data	in Decisions. To prevent our Process Flow from stopping when invalid data is intercepted, we can trigger Rule Set	outcomes on Intercepted Data	automatically and send invalid data on a different branch the Main Flow. In this example create an automated handler on Manually Approve if Hose	, notify the user and continue the Flow. 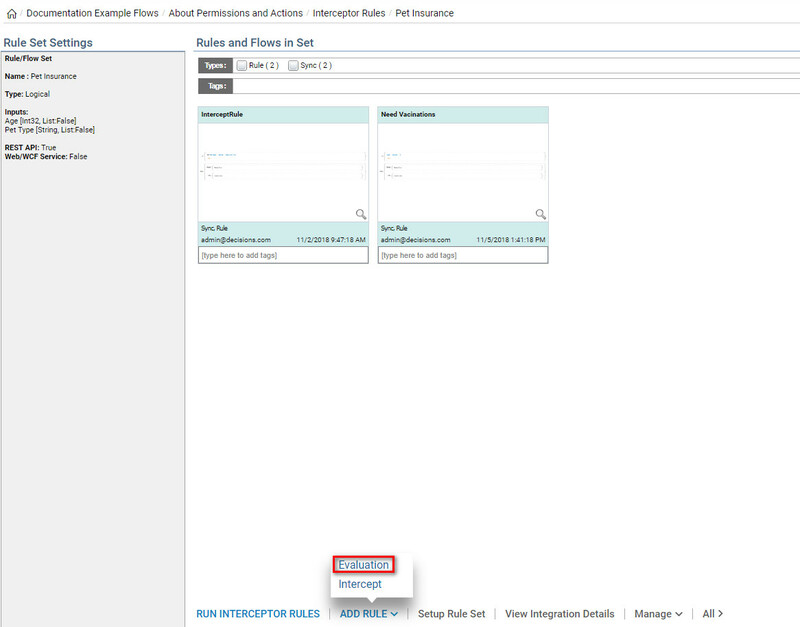 Begin in the Rule Set Folder	by selecting Setup Rule Set	located on the Folder Actions Panel. 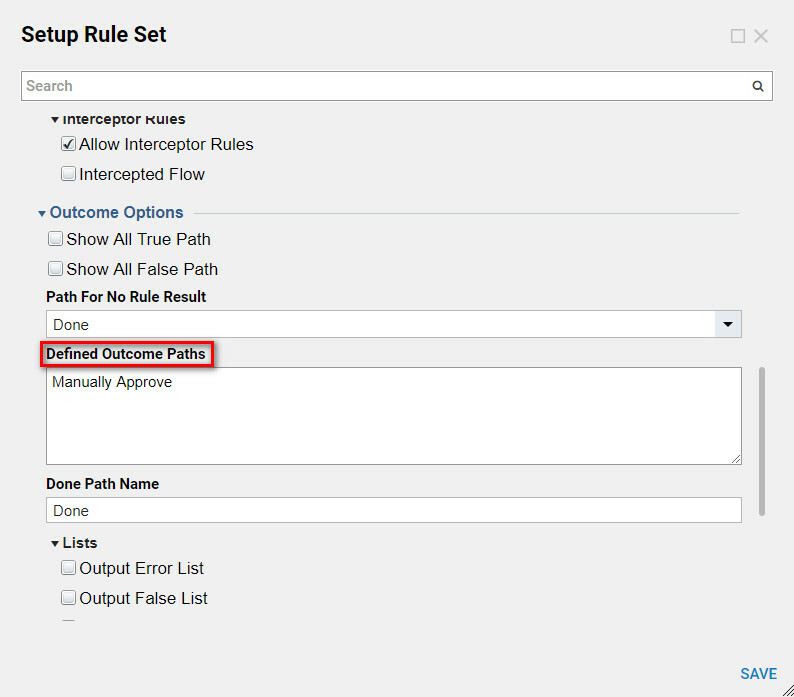 In the Setup Rule Set	scroll down to Outcome Options	section and add new Defined Outcome Path	. Then select Ok	to save and continue. Back in the Rule Set Folder	select Add Rule > Evaluation	on Folder Actions Panel. In the resulting Name	the Rule and click Ok	to proceed to the Rule Designer . Based on the Evaluation Rule	result pick Rule Set Outcome Path	the Flow will continue and execute. On the Start Rule	choose Done for the	Outcome Path on False and Manually Approve	for the Outcome Path on True. Then choose Add New Rule Step. Next navigate back to theInterceptor Rule folder	and choose the main flow (Pet Application). The image below shows a completed flow using the Rule Set, a Form, and an email step. The Rule Set now has two outcome paths, 1. Manually Approve and 2. Done. 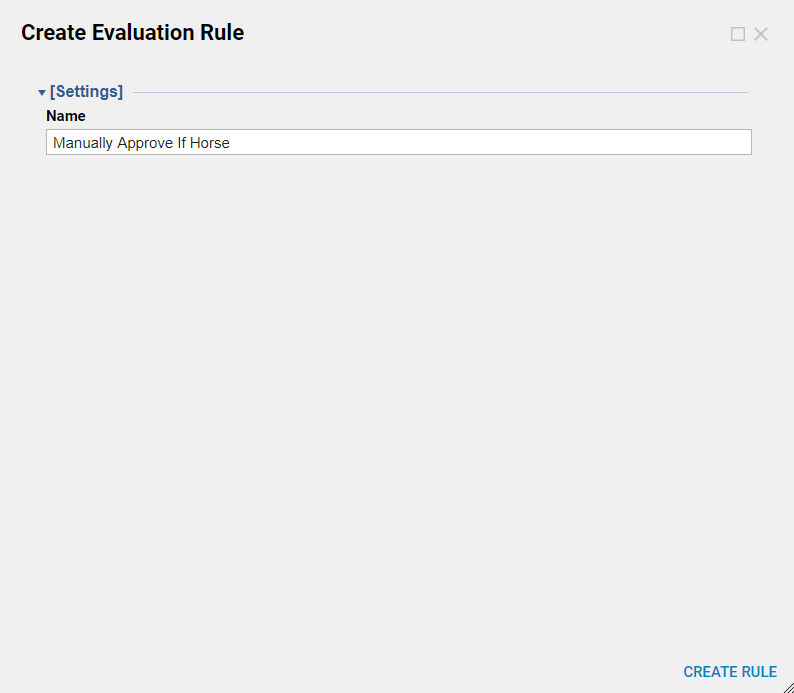 After the Rule Set Runs it will evaluate the data and either go down the Done	pathway or the Manually Approve	pathway.